Home » News » Learn, explore, and create with Wild Kidz! Learn, explore, and create with Wild Kidz! 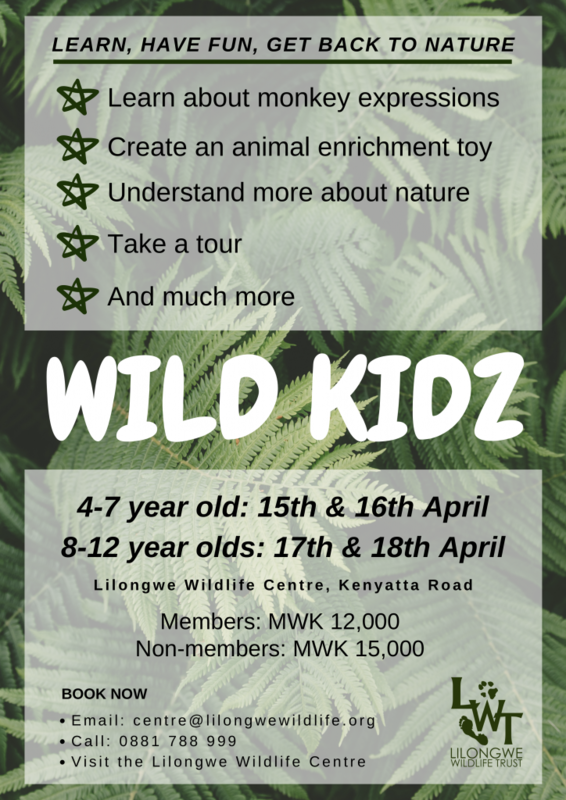 This April, children between the ages of 4 and 12 are invited to the award-winning Lilongwe Wildlife Centre to learn, make new friends, and reconnect with nature with this year’s Wild Kidz programme! Find all the details on the poster below and book now to avoid missing out!